our website and catalogs in the USA in 2002 we have been bowled over by the fantastic response this side of the pond. US customers are continually telling us, "Theres nothing like Boden in the USA." No cash back for placing orders with iPhone and iPad. 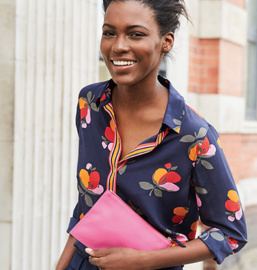 Click a Coupon or click Start Shopping to earn 3% Cash Back at Boden.